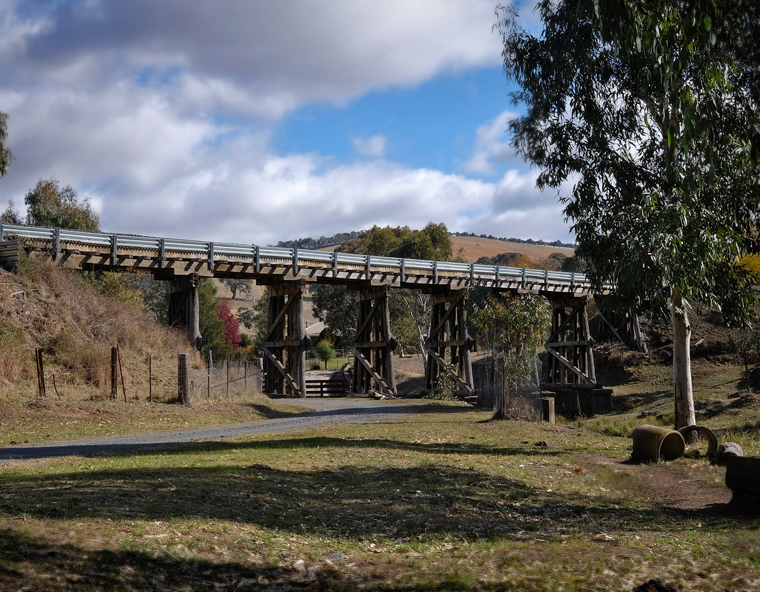 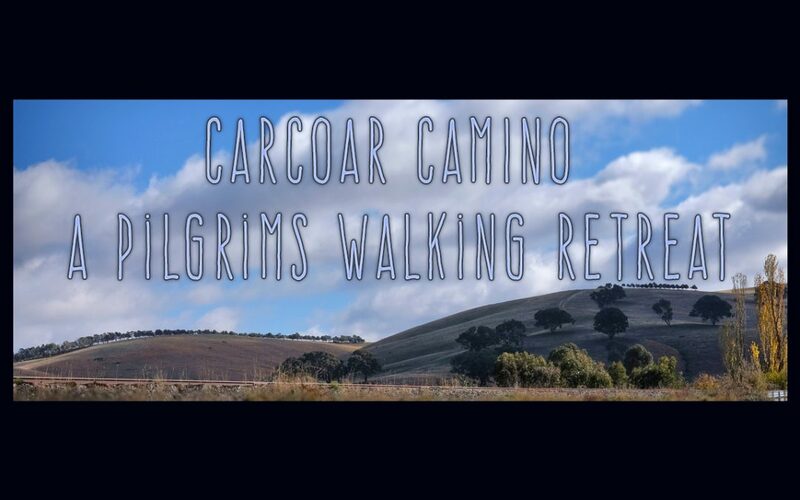 The autumn weather made for a beautiful Carcoar Camino retreat last weekend. 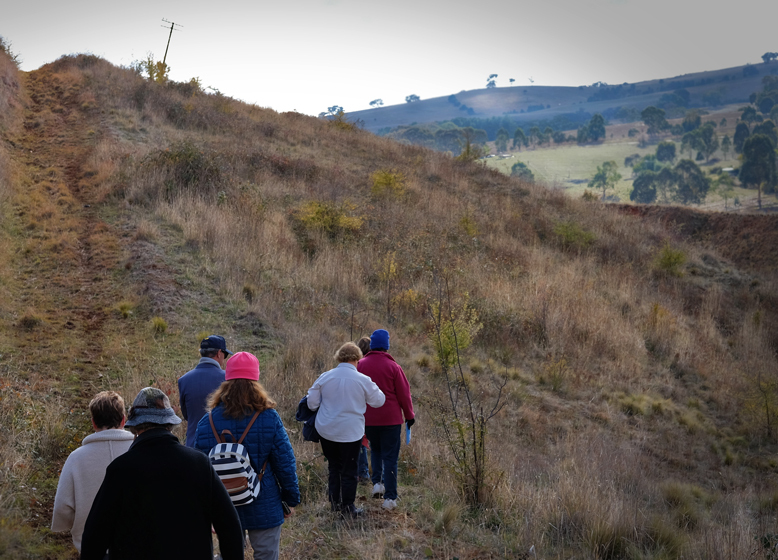 The retreatants were taken on both an inner journey using the Ignatian First Spiritual Exercises and an outer journey, walking the Shalom labyrinth as well as tracks along the beautiful Carcoar valley. 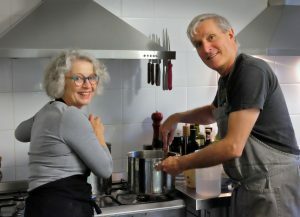 John and Bernadette began the retreat on Friday night, setting the scene for the weekend with some interesting slides and short videos on the history of pilgrimage and Labyrinths. 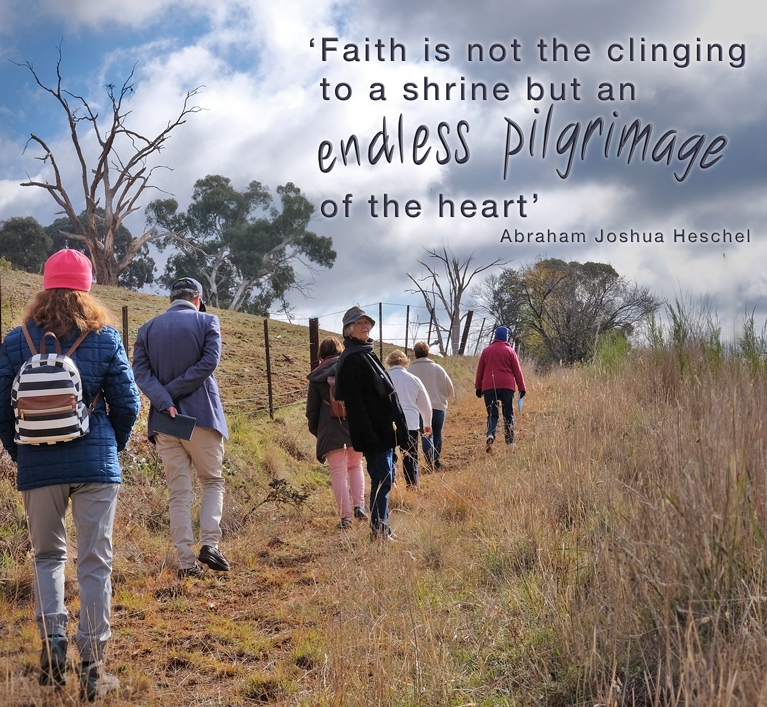 The next morning our first walk focused on our life’s journey as we walked the labyrinth, and on our second labyrinth walk, we found Jesus on the road to Emmaus. 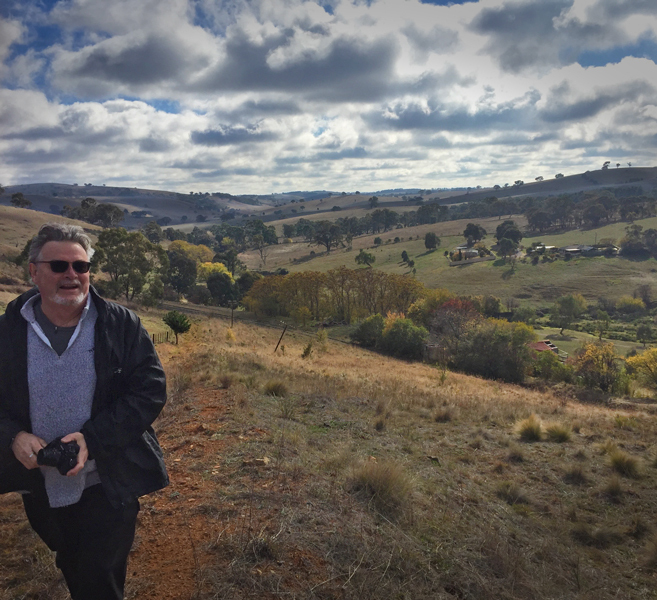 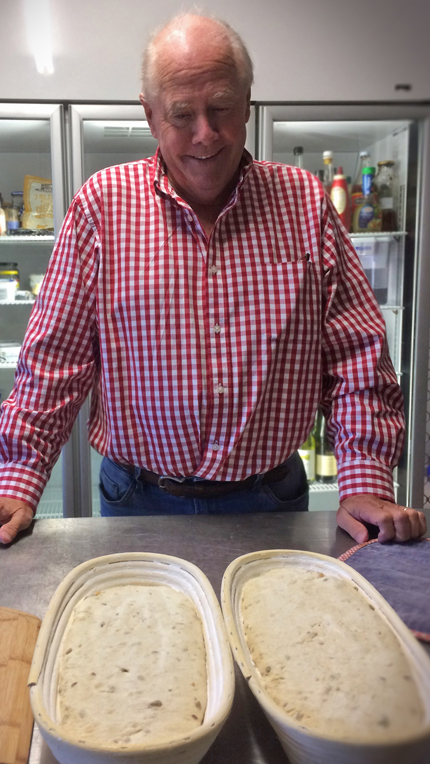 After a scrumptious lunch (cooked by our chefs for the weekend Nick and Fran), we headed down through the village of Carcoar. 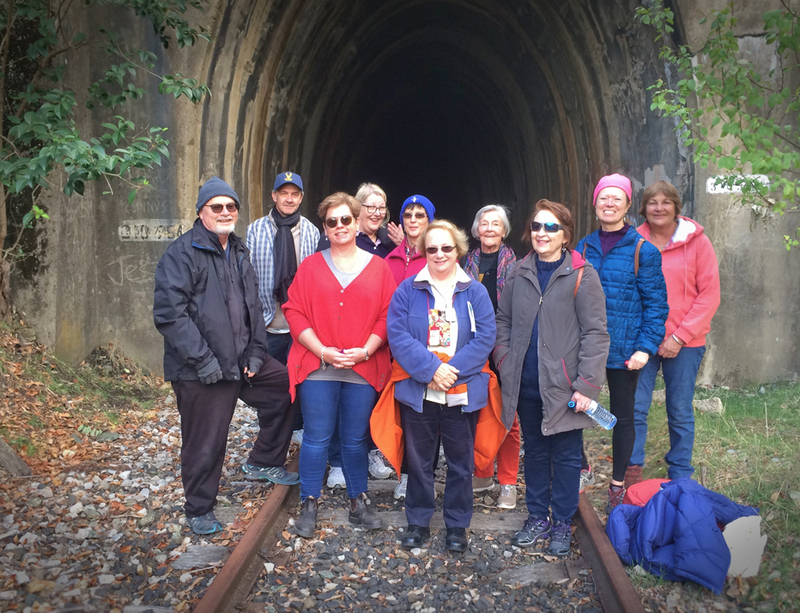 In the dark of the old railway tunnel we experienced coming alive with our contemplative meditation on the raising of Lazarus. 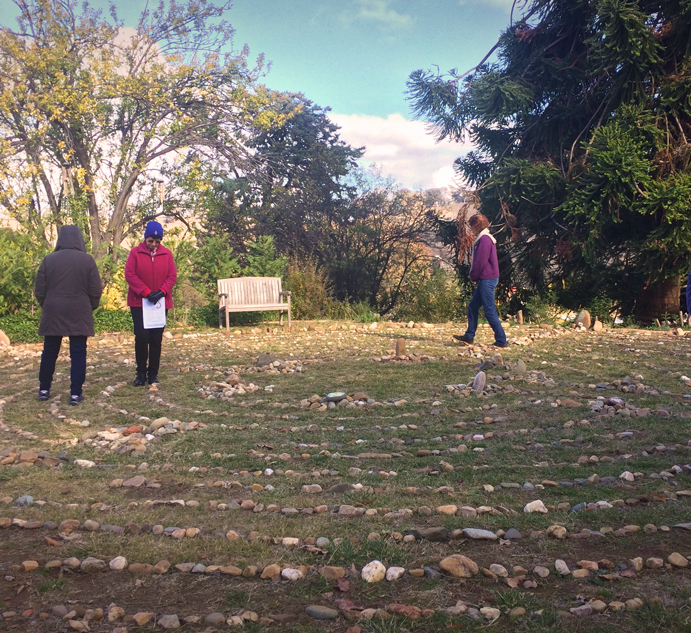 The highlight of the weekend was definitely our night labyrinth walk. 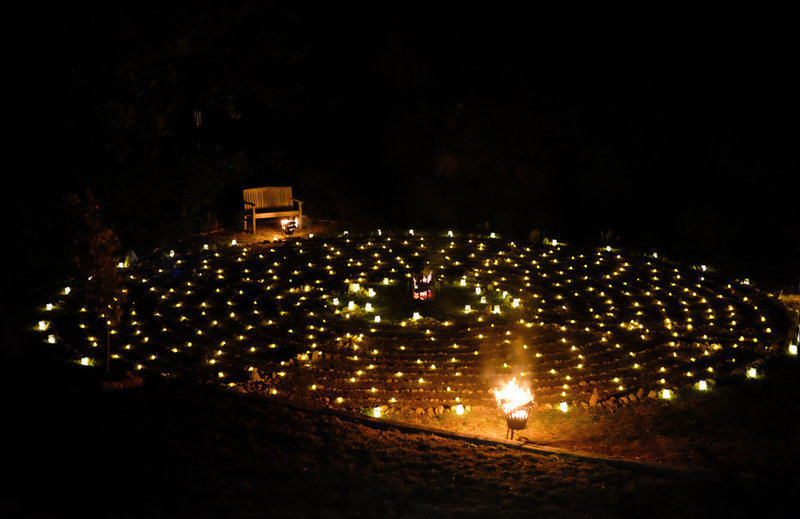 With fire pits to warm us and hundreds of candles to light the path, we sat with Jesus in the Mary and Martha story. 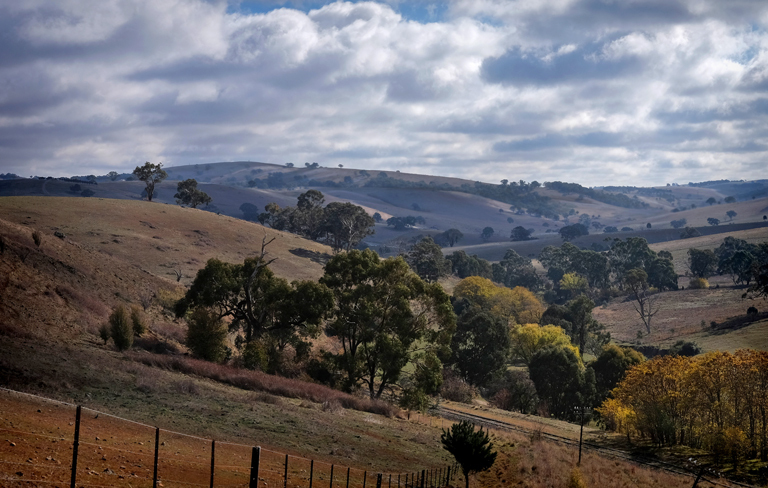 Sunday morning we woke to another glorious day and headed off, following the ridge above the village. 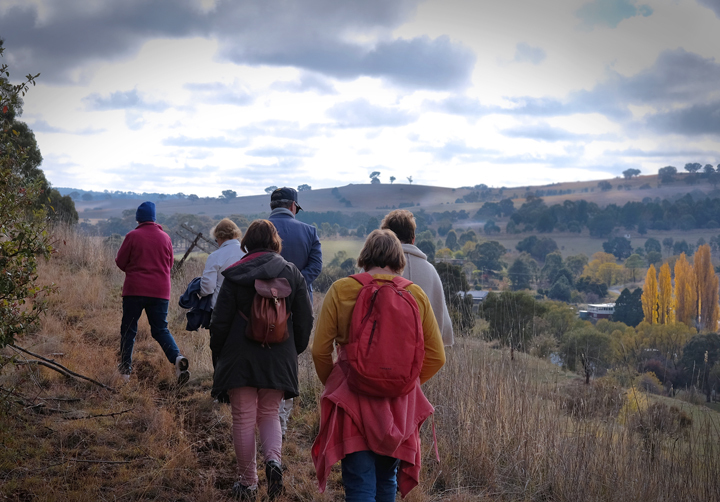 There were plenty of photo opportunities along the walk, with the mist burning off Mount Macquarie and the views across Carcoar valley. 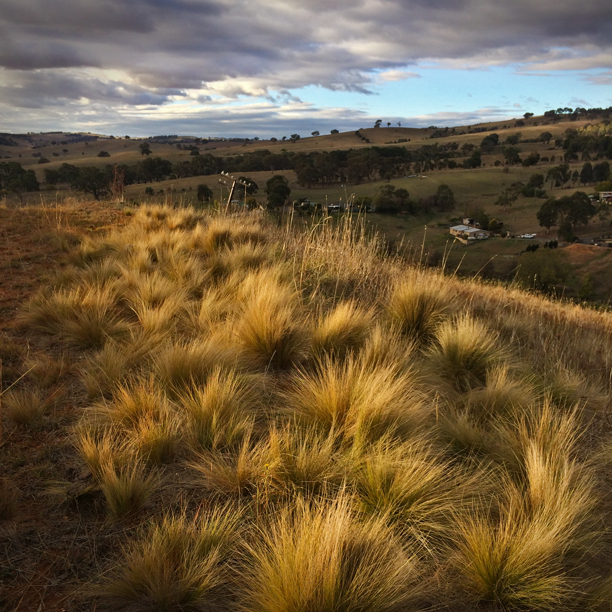 The hills were dotted with kangaroos and a swamp wallaby hopped along the track beside us. 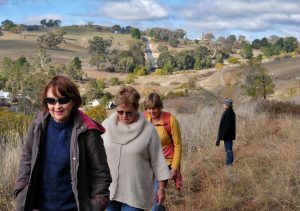 At the end of the walk we sat on logs beside the beautiful Belabulah River. 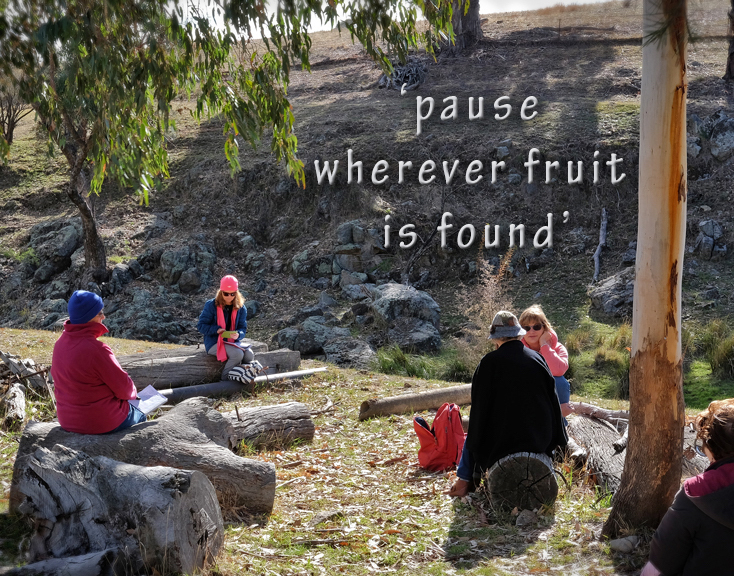 Ignatius says that we should “pause wherever fruit is found” – a very useful suggestion for there was much to be found, as we listened to the gentle babbling of the water, it was easy to contemplate the joy in our lives as we went with Mary to visit Elizabeth and experience the joy of the new. 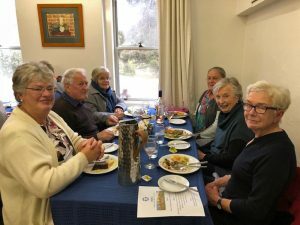 Over Sunday lunch, we overheard comments from the retreatants such as “depths of richness in happiness”, “feeling gratitude”, “joy in the scenery” and “joy of renewal“. 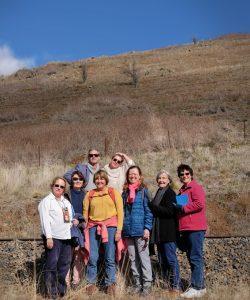 It was lovely to see that taking this journey away from their busy lives helped them find the fruits of joy and peace; And with their souls nourished, the retreat came to an end. 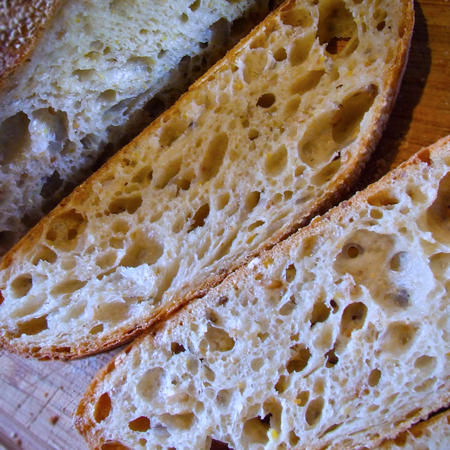 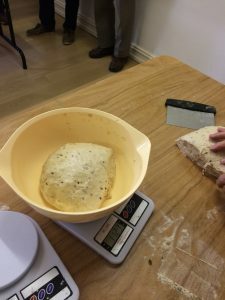 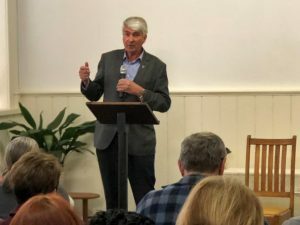 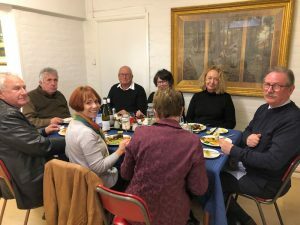 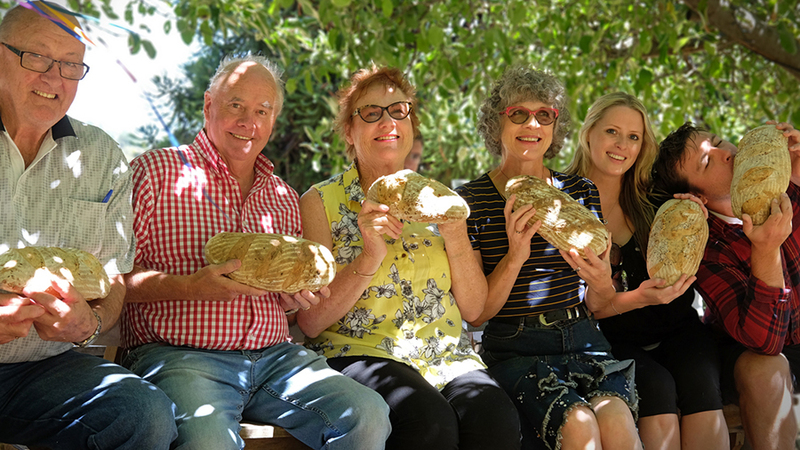 Shalom House of Prayer facilitates a rather beautiful retreat called the Bread of Life that focuses on the metaphor and method of learning the ancient craft of sourdough bread baking. 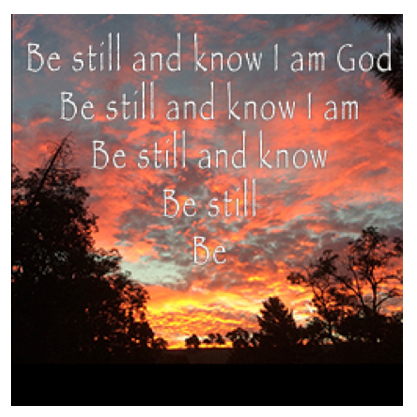 The metaphor of course is how we are stretched, moulded and transformed in our life’s journey towards God. 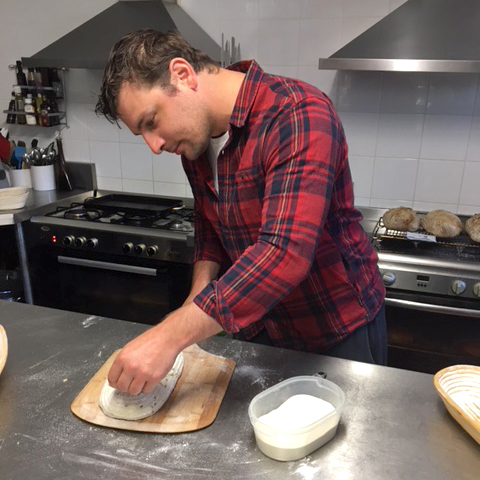 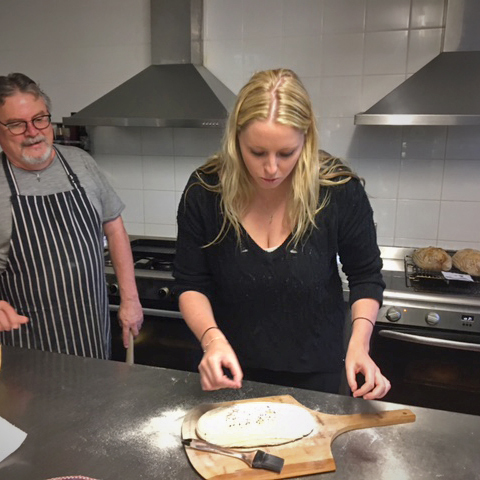 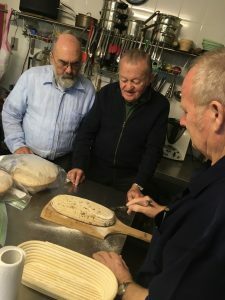 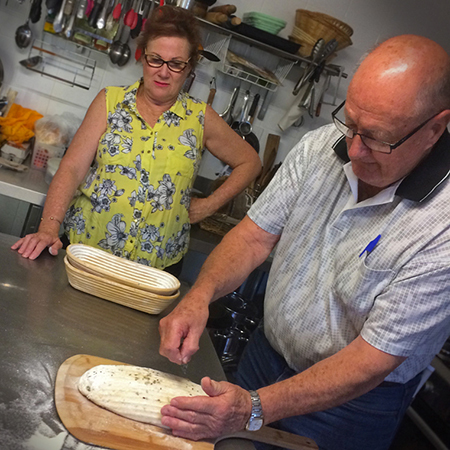 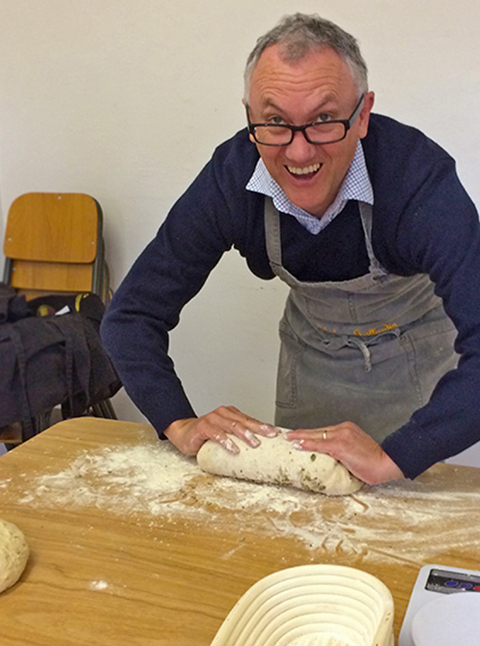 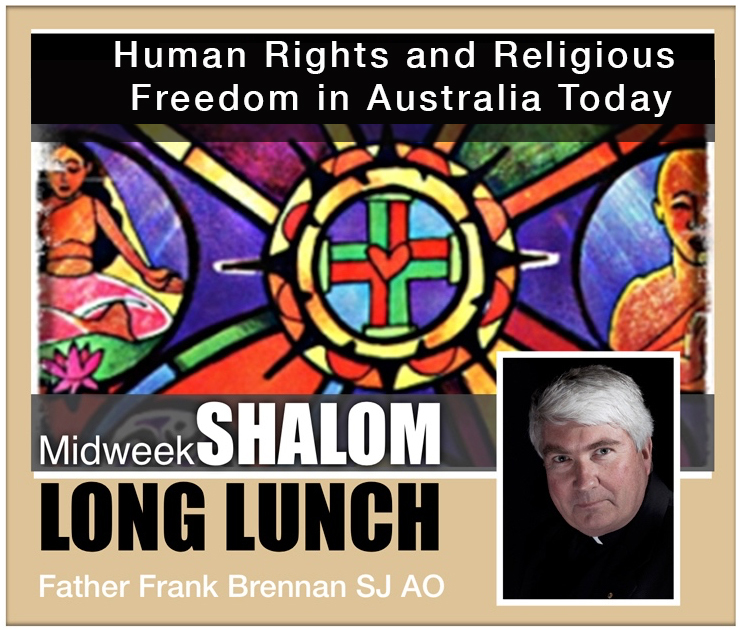 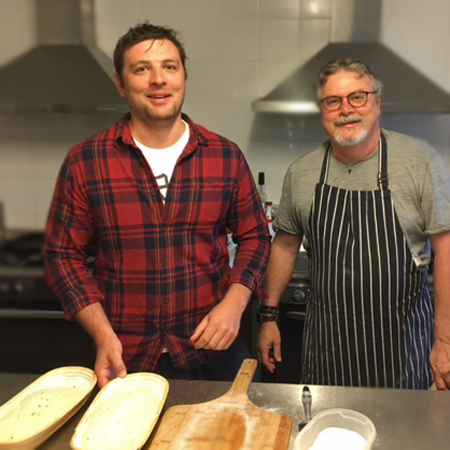 Although this very practical retreat begins in the Shalom Kitchen under the tutelage of master bread craftsman John Hansen, its flexibility and metaphor makes it very compatible with the giving of the First Spiritual Exercises of St Ignatius. 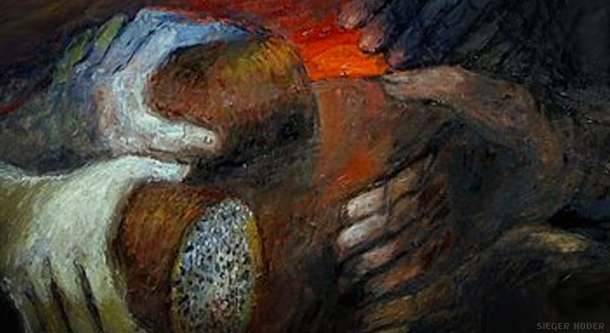 Recently, from Monday April 30 to Thursday May 3, The Shalom Community gave several exercises from the retreats of Inner Peace and Divine Love and Inner Peace in Service of God to 15 Anglican Ministers and workers from the Bathurst Diocese as they discern where and how the Holy Spirit is leading them at this point in their lives through their work for the Lord in the Diocese. 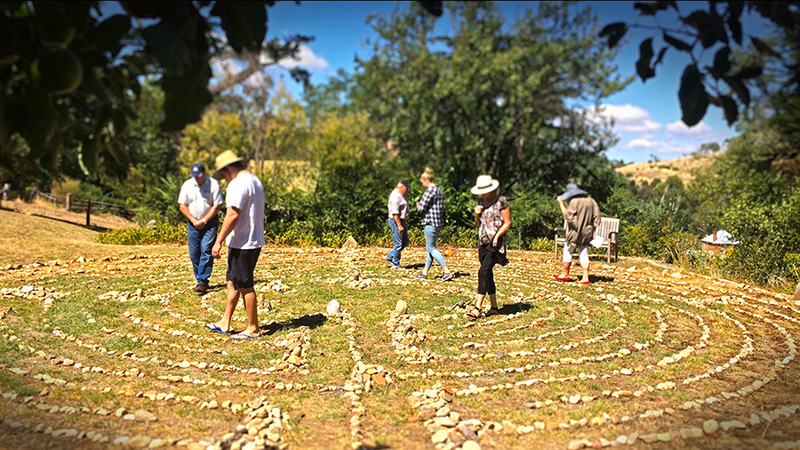 An interesting feature of this retreat is the use of the Shalom Labyrinth combined with the metaphor of the Parable of the Leaven. 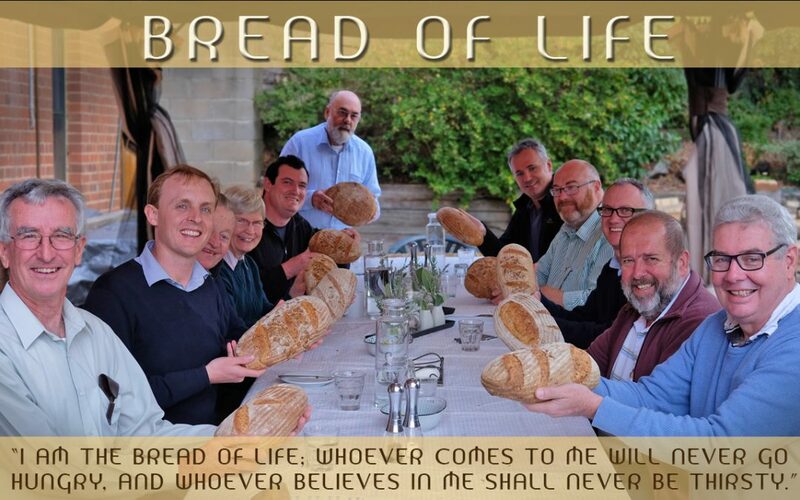 As the retreatants walk – they reflect upon their life’s story so far with the gifts they have received from God as the leaven in life. 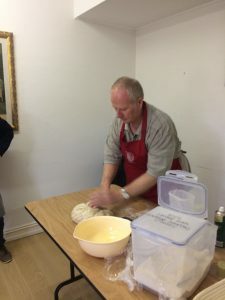 This was a lovely exercise before the First Spiritual Exercise of Fruits of the Spirit (Inner Peace in Service of God: Week 4). 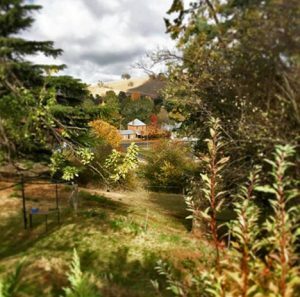 At Shalom House of Prayer, we notice that each retreat group brings their own spiritual personality that permeates the house. 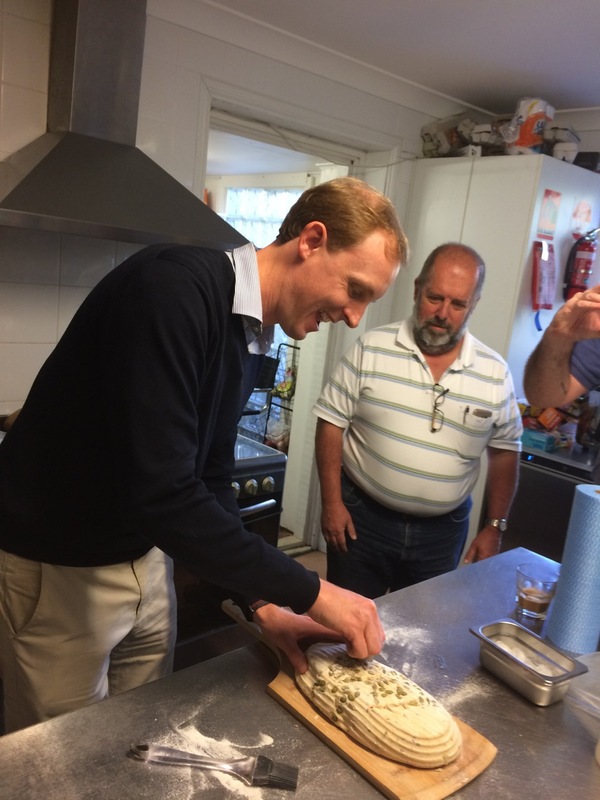 The attitude of the Anglicans was one of deep quiet and prayerful enthusiasm as they entered into and participated in the exercises. 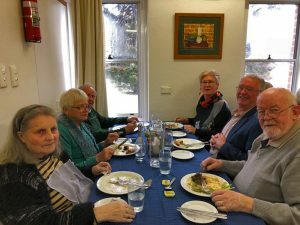 An outward joy was observable as they discussed, laughed and enjoyed each other’s company over the 3 days in the peaceful atmosphere of slow paced, country environment, beautiful food and deep rest in the Lord. 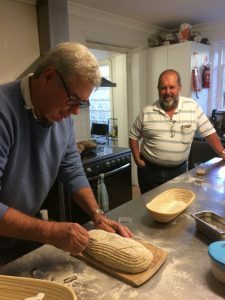 As givers of the First Spiritual Exercises, we are always encouraged and amazed at the power of the Holy Spirit at work through the giving to people who come with open hearts and minds to experience them. 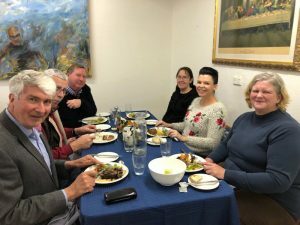 Apart from reflections and gratitudes expressed, discussed and shared by retreatants – we, as givers of the First Spiritual Exercises, find great consolation in our own faith journey in the giving of the exercises to help others in theirs.